During the past few days it has been singa-pouring down. We have experienced the monsoons in full effect. As streams of water fill the streets, thunder rolls around the glass buildings and lightning streaks the sky, we considered the environment that dominates this little red dot. Food security, green energy, water sustainability, aesthetics and animal welfare are key areas of concern to policy makers in Singapore. 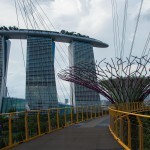 Lee Kuan Yew’s vision of a garden city has come to fruition, at least from the perspective that the urban landscape is integrated with aspects of nature and with one tree per person on the island, Singapore is certainly a green metropolis. The problem however, is the anthropocentric understanding of the relationship between humans and the environment which has led to an imbalance between the consumption practices of the people and the limited supply of natural resources, meaning that the current Singaporean lifestyle is unsustainable in terms of their ecological footprint. Ms Joee Cheng from the local NGO Animal Concerns Research & Education Society (ACRES) came to Ngee Ann – Adelaide Education Centre to share her experiences of how this organisation is attempting to alter the treatment of wildlife and enhance animal welfare in Singapore. Founded in 2001, the organisation came about because of one little monkey called Blue. Blue had been trafficked from Africa and was being kept in a cage in appalling conditions in Singapore. After much public awareness and campaigning, a small group of people managed to raise enough funds to rescue Blue and repatriate him to a sanctuary in Africa. This wonderful act of compassion set in motion the formation of ACRES which now operates 24 hours a day, working to rescue wildlife and educate people on animal welfare. Because Singapore’s government retains control over most NGOs’ ability to advocate for political change, ACRES has not focused its efforts towards effecting policy changes, however in September this year, ACRES founder Mr Louis Ng became an elected MP with the People’s Action Party. Having this great channel should greatly assist ACRES in getting their message heard in parliament. Ms Cheng provided examples of successful animal rescue operations and expressed her hope to eradicate animal cruelty from Singapore. 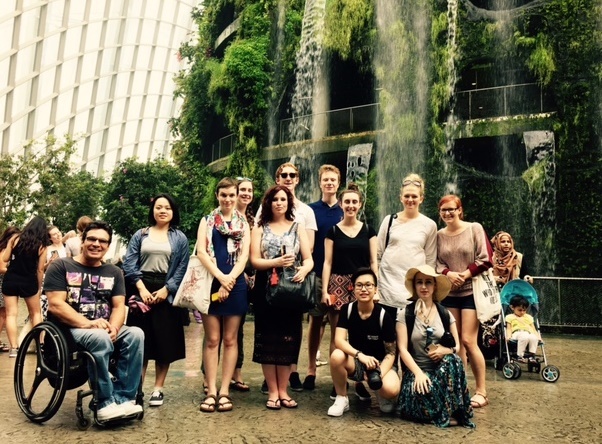 After a solemn morning, it was time to revitalise our minds with a trip across town to visit the blooming marvellous Gardens by the Bay. 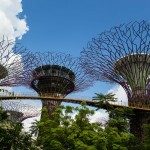 These structures stand as testament to Singapore’s goals of sustainability and self-sufficiency, using world renowned technologies to power and water the two Guinness Book of Records sized greenhouses, which exhibit exotic species from across the globe. One house sustains a tropical mountain climate and the other a semi-arid climate. 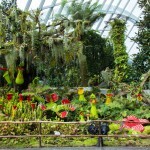 We were surprised to find all sorts of species of Australian flora including the bottlebrush and the kangaroo paw, as well as Californian natives and even the rare Lego ® Venus flytraps. We left the gardens feeling a little like we’d discovered an oasis (albeit a slightly contrived one) in the heart of a bustling city. 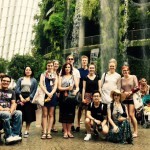 This entry was posted in Exchange & Study Tours, News and tagged acres, animal concerns research education society, australia, exchange, Faculty of Arts, gardens by the bay, ngee ann education centre, parliament, politics, singapore, study abroad, university of adelaide. Bookmark the permalink.